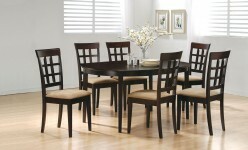 The Hyde 5pc Wheatback Dining Room Set will be the perfect addition to your casual contemporary home. 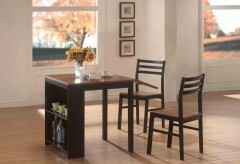 The simply styled table has a smooth rectangular table top above sleek square tapered legs. 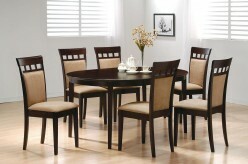 The side chairs have high backs with an open grid pattern for a distinctive style, above square tapered legs. 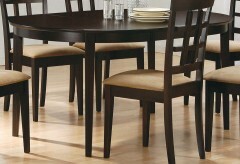 A padded seat covered in soft deep mocha colored microfiber adds to the comfort and durability of these chairs. Add this stylish dining set to your dining room for a warm and inviting space where friends and family will love to gather. 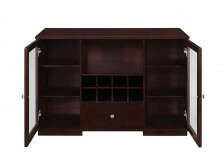 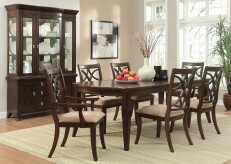 Crafted in solid hardwood and select veneers in rich cappuccino. 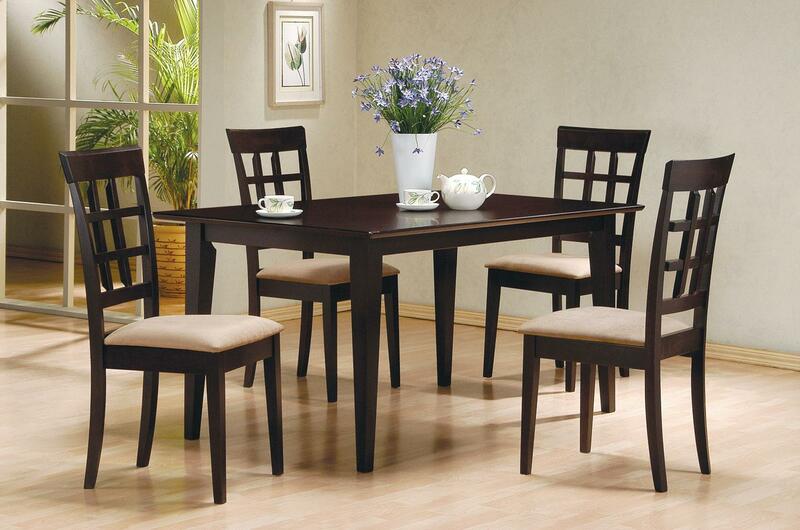 Hyde 5pc Wheatback Dining Room Set includes 1 Dining Table and 4 Side Chairs. 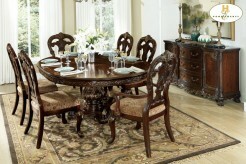 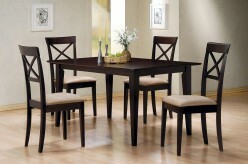 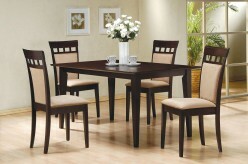 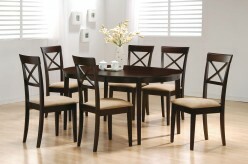 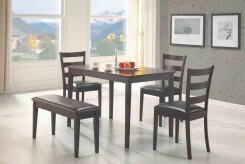 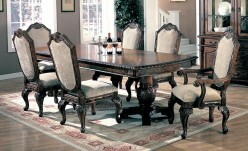 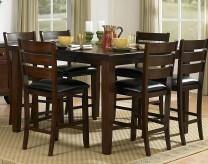 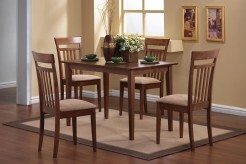 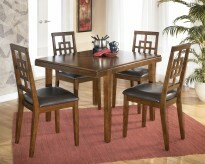 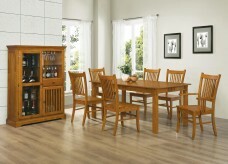 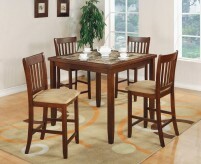 Furniture Nation is proud to offer the Hyde 5pc Wheatback Dining Room Set online. 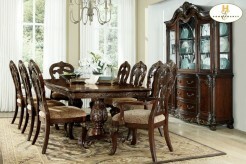 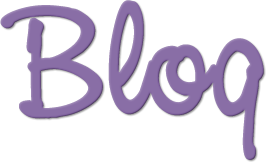 We serve customers across the DFW region including Grand Prairie, Southlake, Keller and many more. 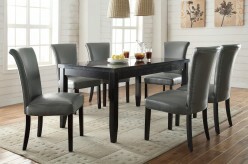 Hyde Rectangular Dining Table : L35.5" x D0" x H29.75"
Hyde Wheatback Side Chair : L17.25" x D20.75" x H38.5"